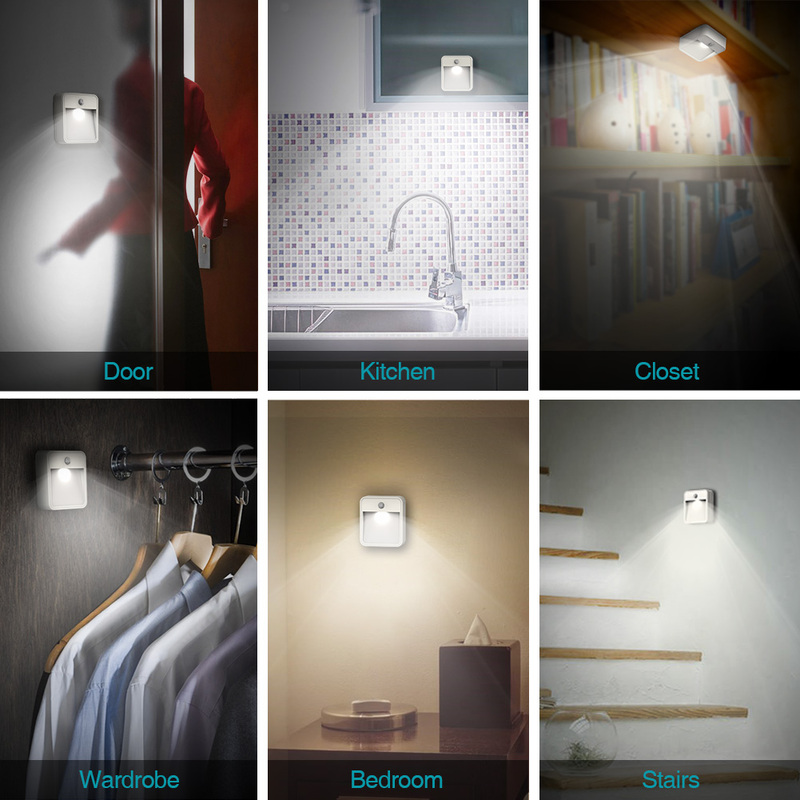 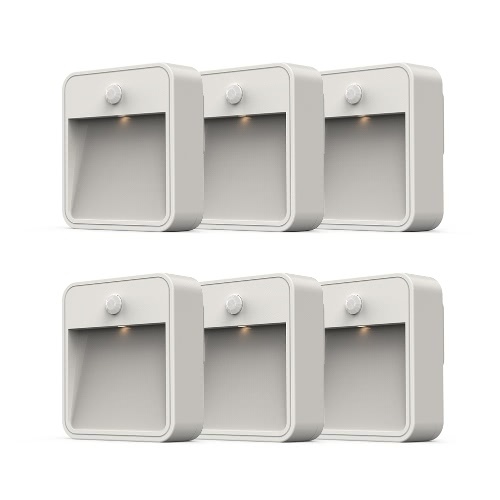 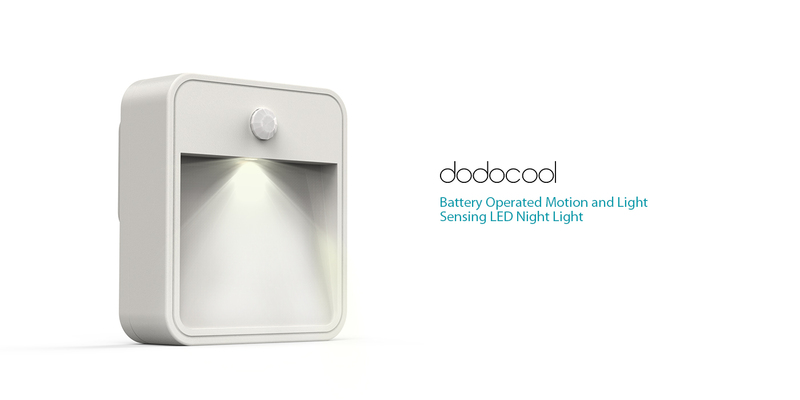 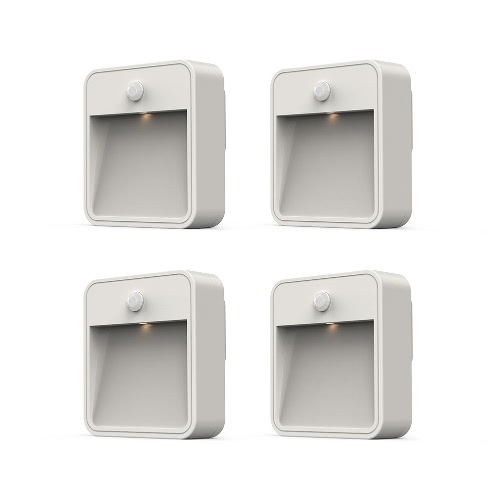 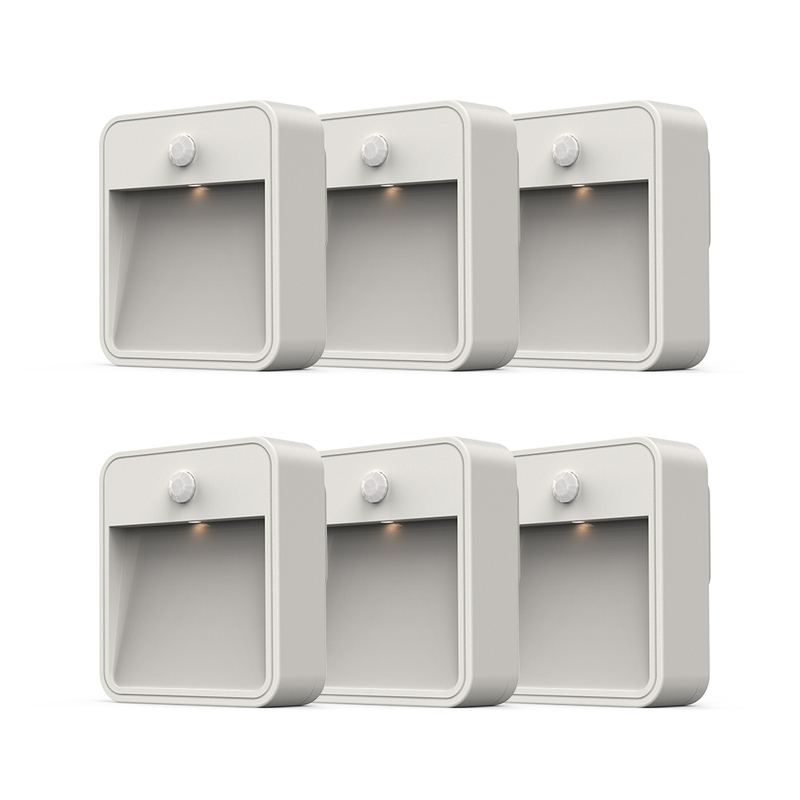 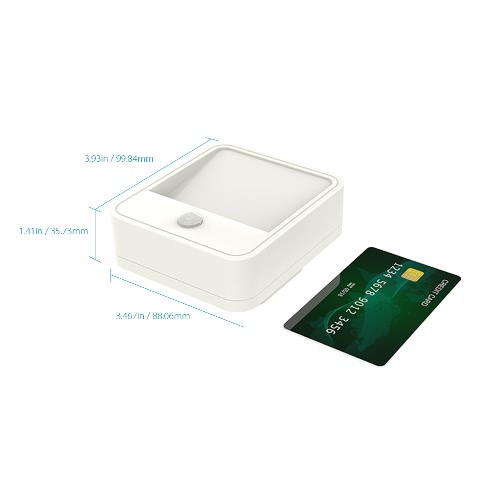 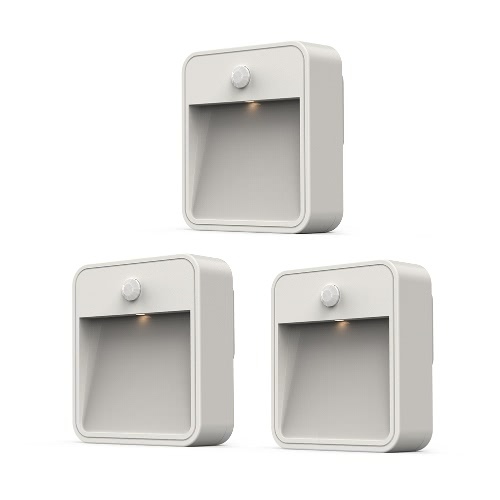 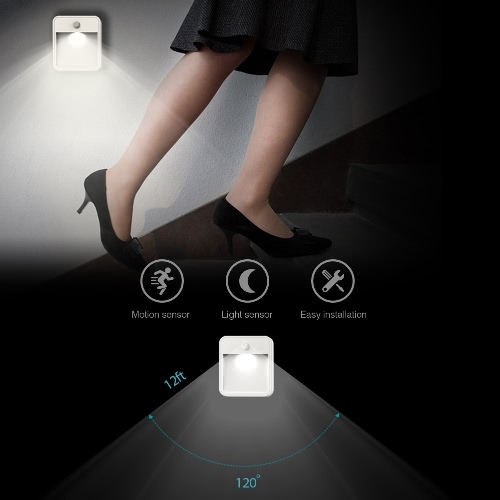 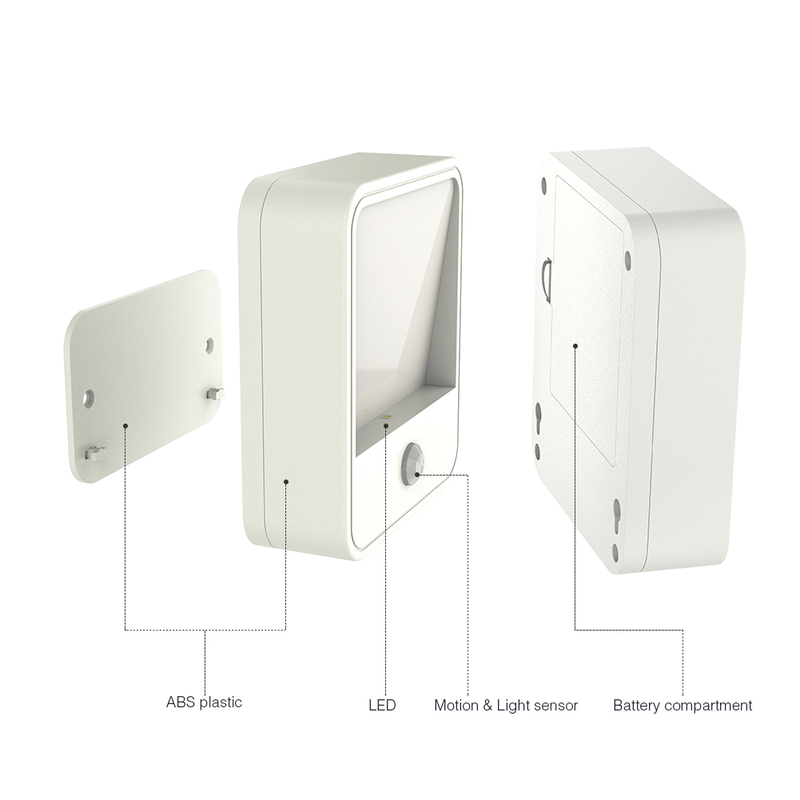 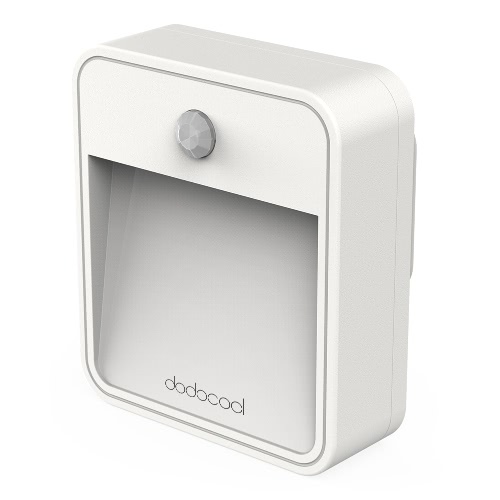 dodocool Motion Sensor LED Night Light turns on automatically when motion is detected within 12 feet in darkness and turns off automatically when no motion is detected for about 30 seconds. 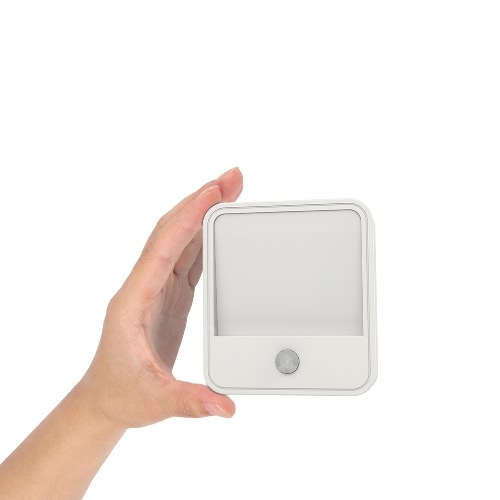 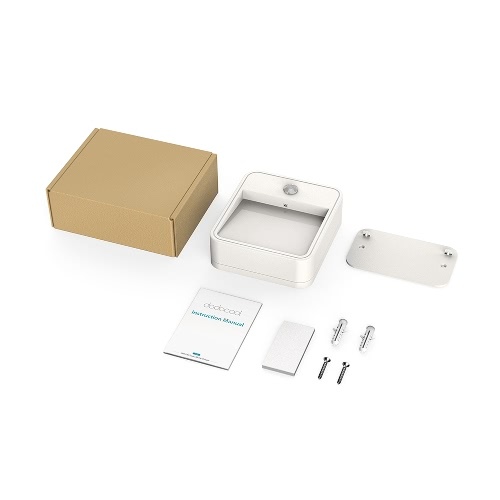 Powered by four AA batteries (not included), it supports up to 1 year activations. 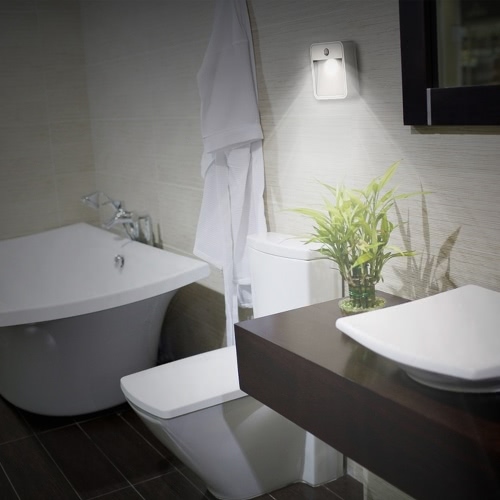 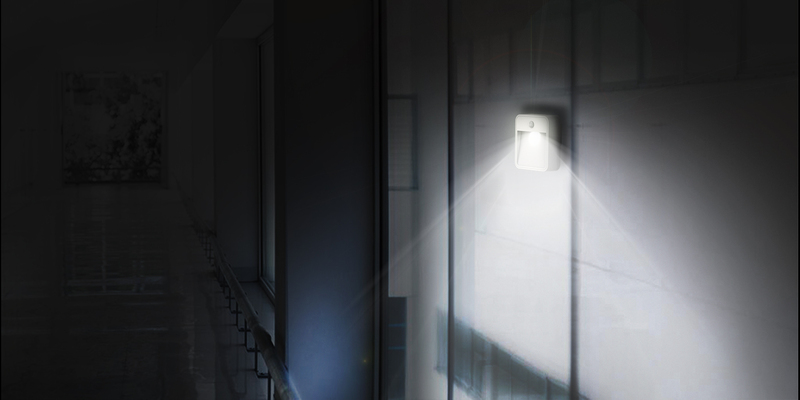 The LED directs up to 10 lumens of white light downward to light pathways and stairs. 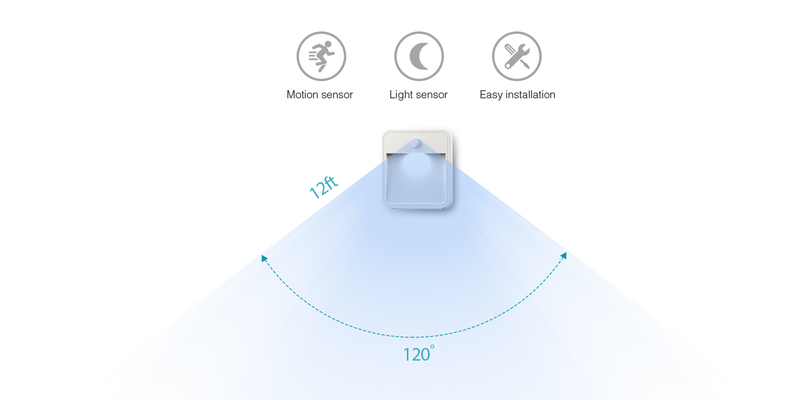 The maximum vision is 120 degrees. 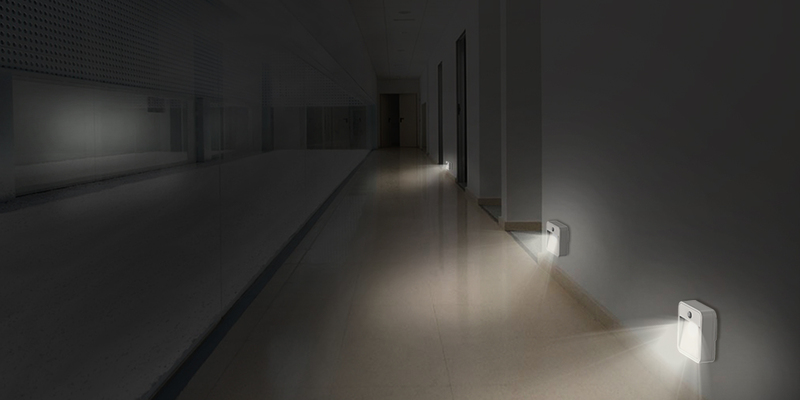 Ideal for emergency illumination during power outage. Stay off during the day and turn on automatically only when motion is detected up to 12 feet away and only when it is dark. 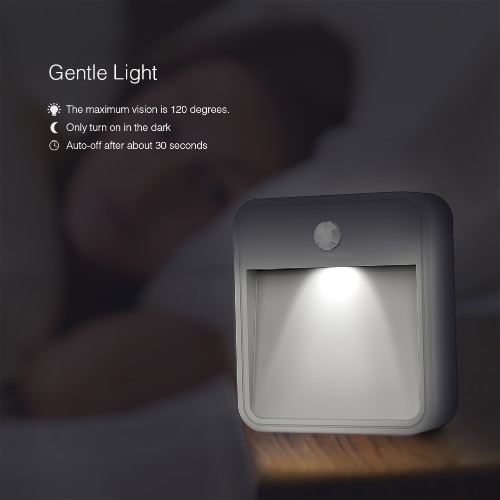 Turn off automatically after about 30 seconds of no motion. 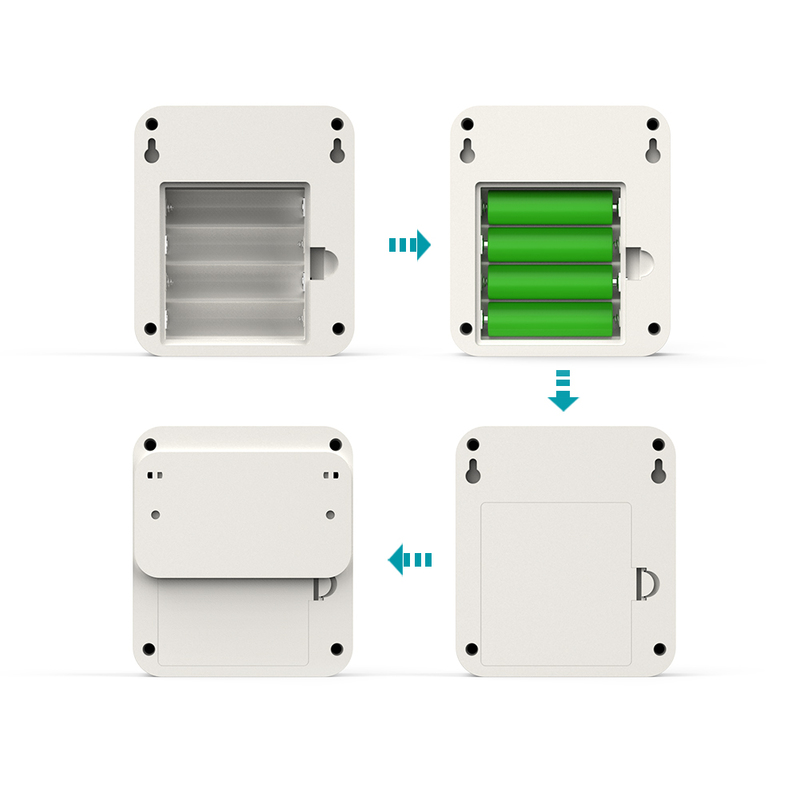 Install easily and securely in seconds. 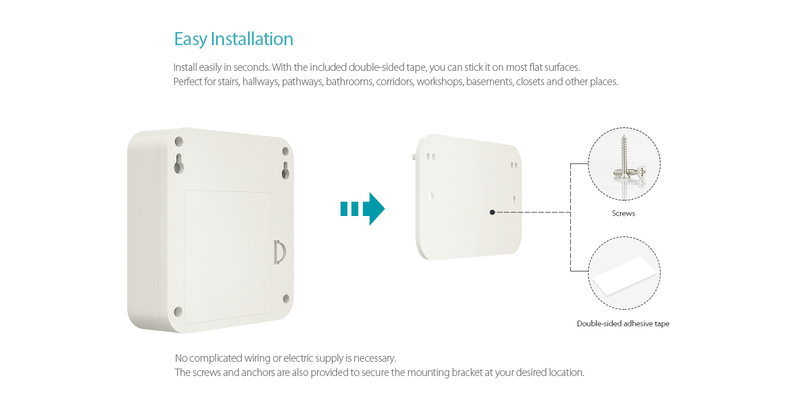 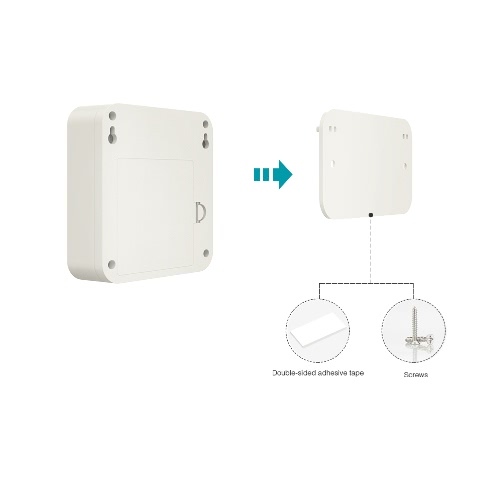 With the attached mounting bracket, mount easily on most flat surfaces using the attached double-sided adhesive tape or screws and anchors. 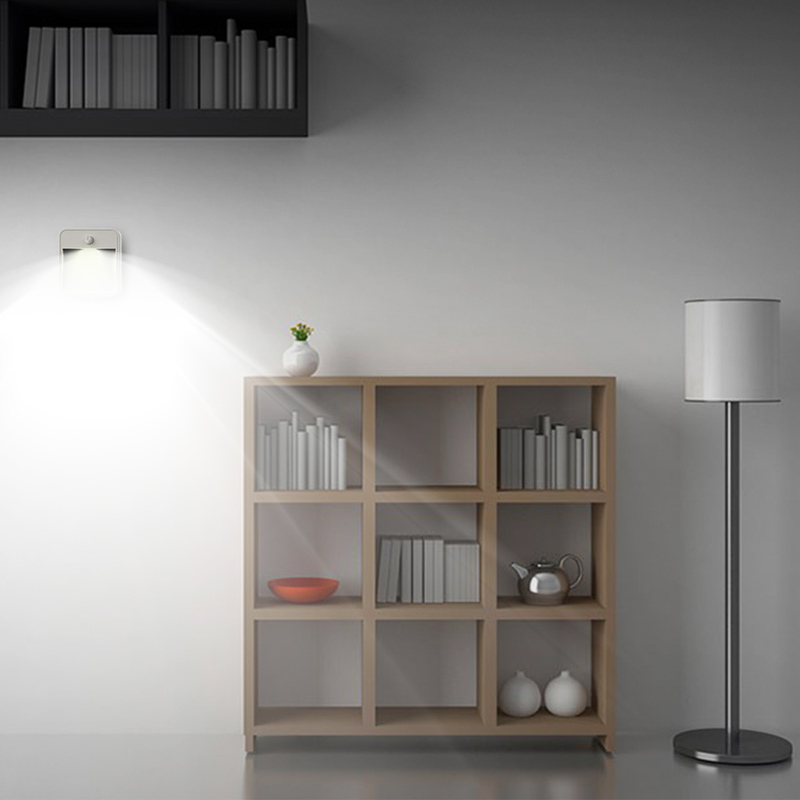 No complicated wiring or electric supply is needed. 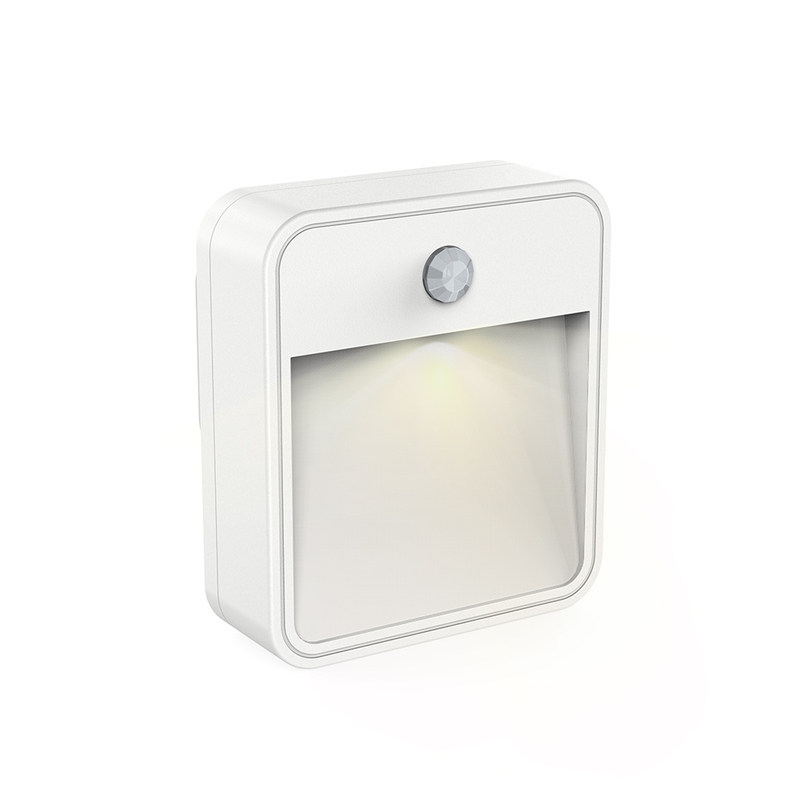 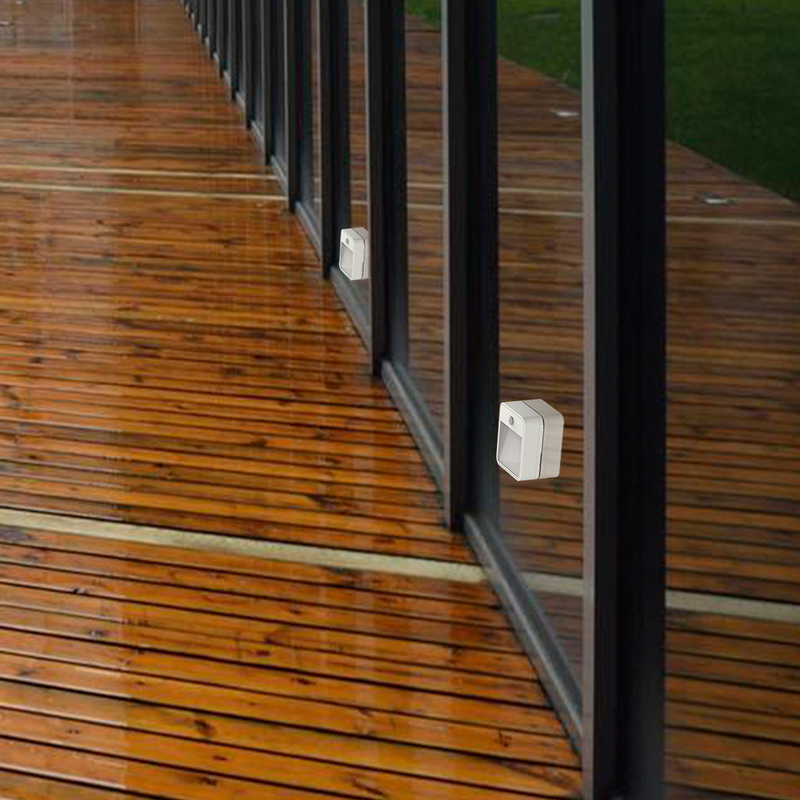 The UV-resistant ABS housing makes it more durable and reliable than other lights. 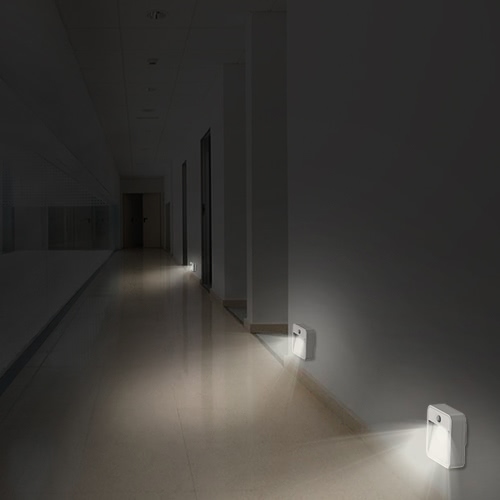 Suitable for stairs, hallways, pathways, bathrooms, bedrooms, nurseries, corridors, workshops, basements, indoor garages, closets and more. 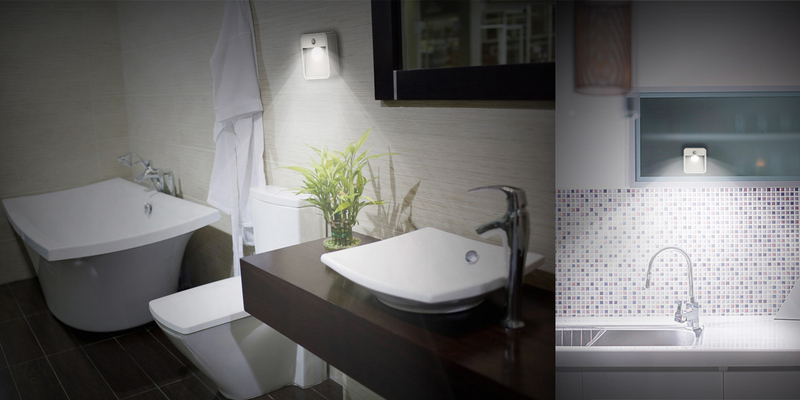 Note: The actual working time of LED light varies from different batteries and different using environment. 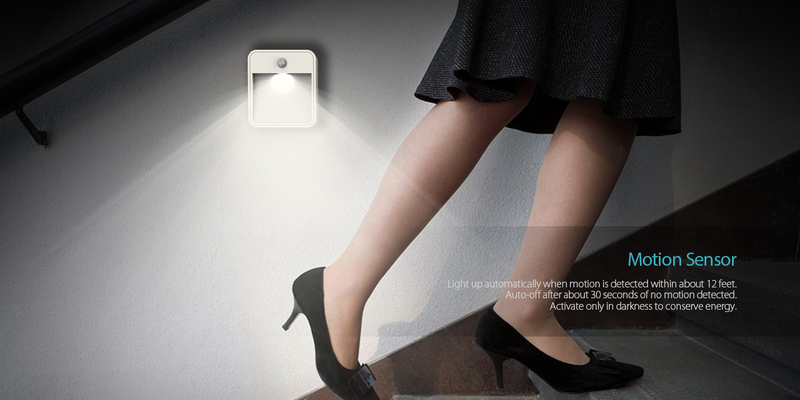 Application: Stairs, hallways, pathways, bathrooms, bedrooms, nurseries, corridors, workshops, basements, indoor garages, etc.